Summary: An epic journey into the world of dinosaurs where an Apatosaurus named Arlo makes an unlikely human friend. 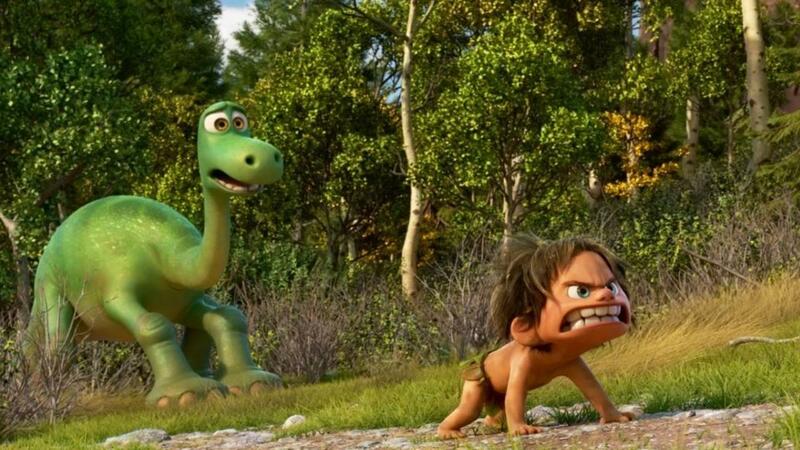 Pixar’s The Good Dinosaur is a simple film in an imagined timeline where the Homo Habilis (or, some similar tool-making pre-human species) cohabits the intelligent reptiles who were still extant on the face of our planet. 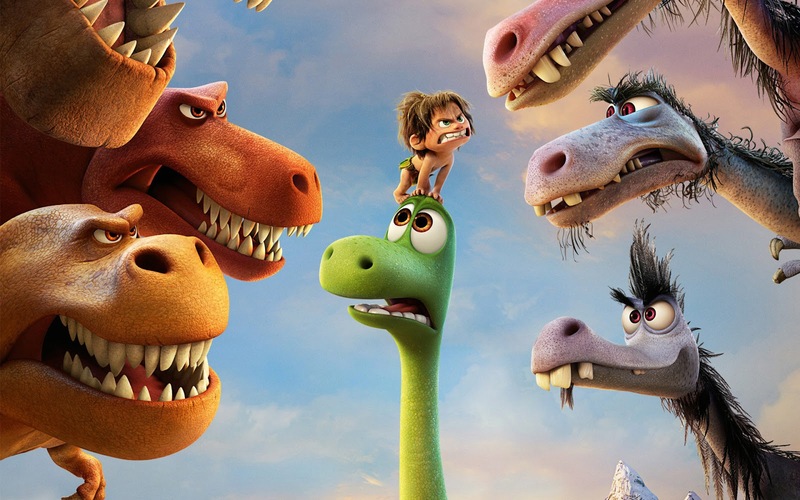 Although the idea of intelligent dinosaurs and their collective is not entirely new, this is the first time I have seen its representation in cinema. However, the filmmaker seems to have shown that metaphorically. An intelligent, farming creature cannot afford to be four-legged. That goes against the working of nature. Besides this simple flaw in characterization, the fable of the good dinosaur works at a basic level, like Aesop’s stories, or Panchatantra. 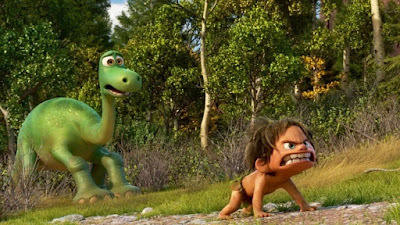 The cute, little Arlo is the weak sibling of Libby and Buck. He fears even small critters. 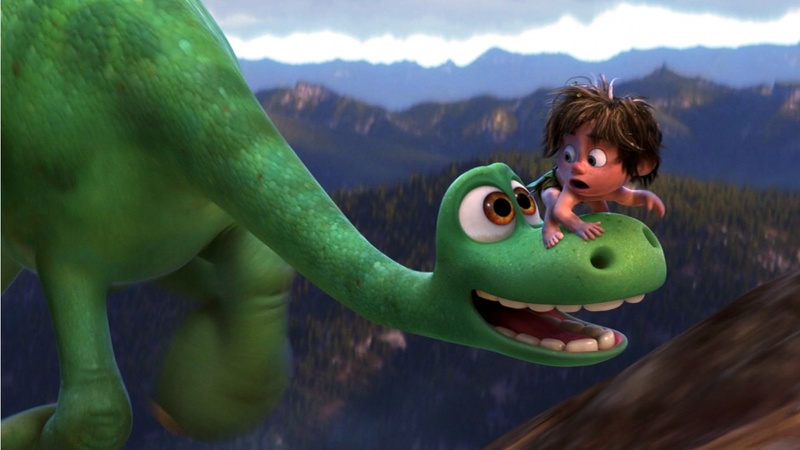 Yet, his parents Henry and Ida, the two intelligent apatosauruses, never give up on him. The question is, how and when would Arlo make his footprint on the wall of the family barn? 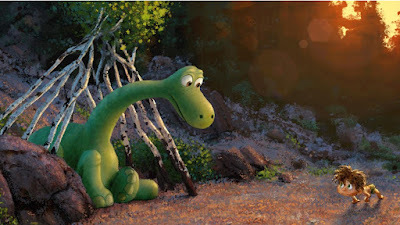 Finding your own worth is the impetus that drives the rest of the film, taking Arlo through the typical hero’s journey, which we find in books by Joseph Campbell. This is a perfect ploy for both fables and epics. The Ugly Duckling (1843) revolves around this. So does the Ramayana. Erich Maria Remarque’s All Quiet on the Western Front (1930) quotes this journey through a single reflection of Paul Bäumer, the hero of the novel. “We are none of us more than twenty years old. But young? Youth? That is long ago. We are old folk.” The hero’s journey is pointed to that goal – to be wise, to be old, farsighted soul with the energy and fearlessness of the youth. Arlo’s journey is a snapshot of that for the toddlers and early teens of our times. Yet, the adult may relate to that through its quaint moments. Where the film falters is not the simplicity of the journey, or the awkward character of the thin, green dinosaur. It is the equalization of goodness with stupidity – a signature of exploitative feudal values (which is at the core of the Disney studios, with an apparently capitalist cover) that works well with fables. Most of our traditional fables are products of the last fifteen hundred years or less. The moral baggage they carry, the subtle politics that is injected to the toddler brain by enjoyable doses of such fables, came from the idea of a fixed, hierarchical, stepped society where one earns a predestined position (and, never beyond that) after a lifelong struggle. This is the conventional journey of the hero. But, this is a remnant from the pre-modern society. The role of fables in politicizing (and policing) young minds is a favourite pastime for the postcolonial discourse analysts. One of my teachers made name, and strong academic position, on the basis of his Ph.D thesis on this topic – the politics of the postcolonial children’s literature. Moral baggage works so much these days that some of my students do not see it possible to make a film without a social message attached. Such social messages are based on fixed value systems. Those value systems are considered to be eternal and universal. Under such schemes of things, history goes for a toss. But, who cares? Our traditions always refer to three generations’ memory at best. That was similar in the days of the Mahabharata. That is equally prevailing today. 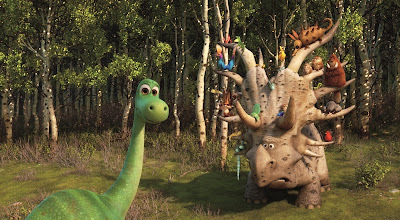 So, the return of the dead father, an emotional bond between the critter and Arlo (reminding me of symbolic alter-ego so common among certain aboriginal tribes across the world. Carl Jung made a list of them, long ago), the symbolic fight with the pterodactyls, and the final come back home are besotted with some sentiment of morality, from time to time. 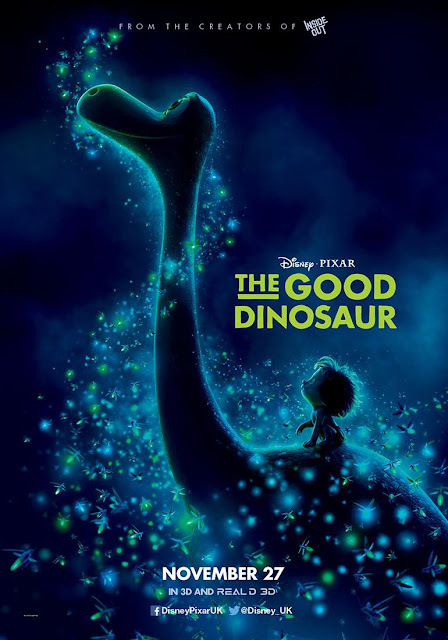 Several of these recurring motifs have been Disney signature, from the good dinosaur in Fantasia (1940) to the return of the dead father’s apparition in Lion King (1994). Apparently, these are popular with young children, streamlined through our existing framework of feudal values buttered with capitalist ambitions. The film is running well in India and elsewhere. But, the scheme for young children, and the adult, seems to beg for a change, shortly. Otherwise, the medium of cinema would go for a toss soon.